Every Generation Signals IE: 2g,3g,4g Have some Channel or Frequency through which they cover the Network Range Area.. The characteristicts of signals or challels are like a way of transfering the deta.. The More the frequency the more the Data Transfer Rate.. But There is a Issue.. If the channel Frequency Increased then the Range of the Challen or Friquency cant cover larger area.. In Android OS There is a Default Function that the mobile only connects to lower friquency because Low Frequency can travel More distance , But that will decrease the Internet speed.. 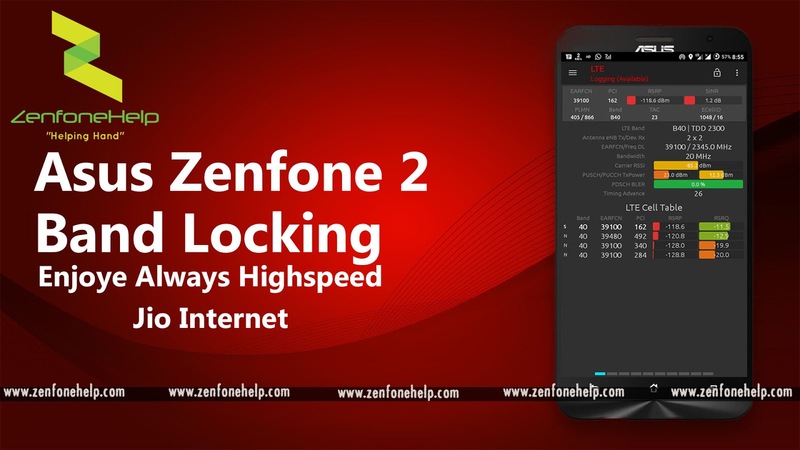 So Basically we have to lock on a Frequency where we will get more Speed..
Below are the Bands that Asus Zenfone 2 Supports..
Those are with letter "B" are the band name and the Number you can see the frequency,,, I strongly recommend you to connect to B40 for Higher speed ( I personally experienced the speed upto 10 MBPS..
Now How to do it... ?? #NOTE: Your phone must be a Qualcom Chip set phone and also LTE must be Supported..
Download This "Network Signal Guru APP" and install it on you phone..
now click on 3 Dots on Right top side and then press on Band Locking..
Now Tick the band you would like to use. for example we will use Band 40 for better speed and band 38 for better network covrage.. Signals wll come and now you will see you have significance Speed Increased in this band locking method..